Here we propose to you a sparkling collection of crystal components. 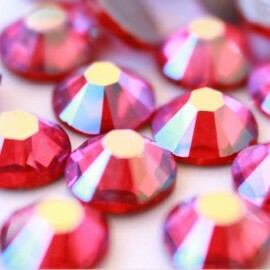 The rhinestones are a part of the elements become essential to decorate and customize your outfits. They will give them glare & brightness! Discover our Swarovski collection, undisputable leader in the whole world: luxury and brightness accessible to all. 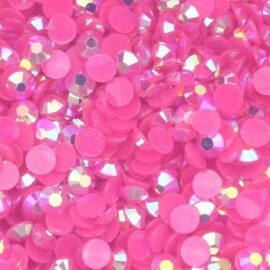 Rhinestones There are 41 products. This crystal has an international reputation since the 19th century. It was constantly improved over the years by the Austrian company “SWAROVSKI”. 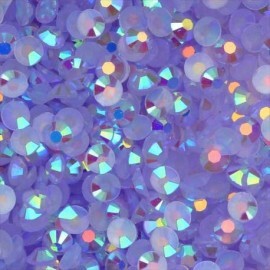 SWAROVSKI is the reference as regards crystal in fashion, jewellery and design world. We selected for you the range AB, which is most sparkling of all. Do not hesitate to contact us for the colors or sizes that we would not have propose to you yet. 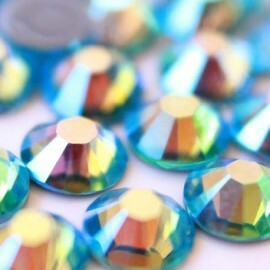 Preciosa Rhinestones are a very good choice for those who expect exceptional quality and brightness. Today, Preciosa continues in tradition, the unique design and craftsmanship from generations of glassmakers for prestigious clients worldwide. 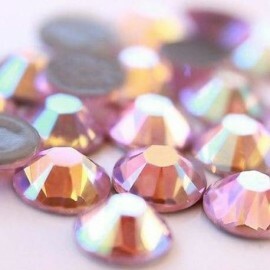 The coloured rhinestones are offering a very good price quality ratio. Less bright but equally brilliant, they will allow you to shine with a smaller budget. 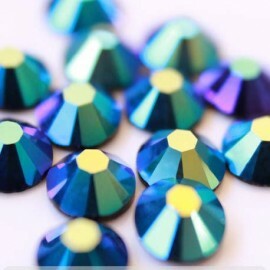 Their wide range of colors will satisfy and enhance any outfit. Discover the new collection of ASashine Stones! The Stones ASashine, indicative of Glare, Luxury and Brightness!